Somewhere along the way, right around the time when Android 4.0 Ice Cream Sandwich shipped, Google decided that it was possible to endow the OS with good design while retaining its complexity and extensibility. This has ushered in a new wave of apps that adhere to Google’s clean design philosophy, even as they add advanced features that are unique to the Android platform. In this round up, we’re taking a look at forty applications that give you the ability to modify system-level features to make them work better for your specific usage, and others that take advantage of built-in sensors in modern smartphones to make them a little more intuitive and attuned to their surroundings. All of these apps augment your experience of using Android itself in some way—making it easier, faster, or just plain cooler! When you rotate your phone sideways, Adaptive Rotation Lock won’t let the screen rotate until you tap on a translucent overlay that appears over it temporarily. Adaptive Rotation Lock (paid: $2.00; free): The ability of our phones to rotate orientation automatically when you turn them sideways is fantastic for those times when you actually want them to do so, but nine times out of ten, it happens accidentally when you turn the phone on its axis for some other reason. Then you have to rotate it back, lock the orientation, and rotate it again. This app is the perfect solution to that problem. It displays a translucent, nonintrusive overlay on your screen when you rotate it sideways and will not allow the screen to do the tango until you tap on it. It can be set to not show up on your home screen and in certain apps, so it shows up less often—and it can also allow you to use the phone upside down, if that’s how you like to roll. AirDroid (paid: $20/year; free): Along with its web component, AirDroid allows you to manage your phone and transfer files to and from it wirelessly, both on a local network and remotely. That’s not all: it’s feature list includes everything but the kitchen sink. It will allow you to send and receive texts from your desktop, locate your lost phone, manage apps, use the camera remotely, call contacts, share the clipboard, and then some. 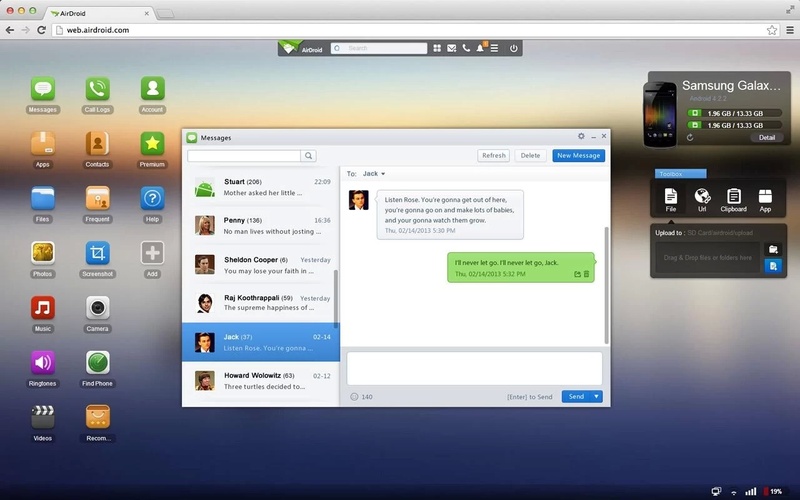 AirDroid allows you to send text messages through your phone from the comfort of a desktop browser. 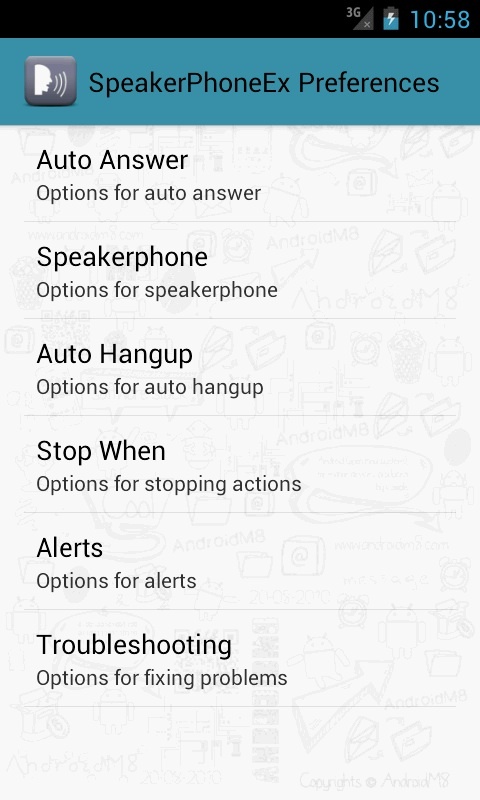 Tap out its name on AppDialer’s T9 dialer to quickly launch any app on your device. 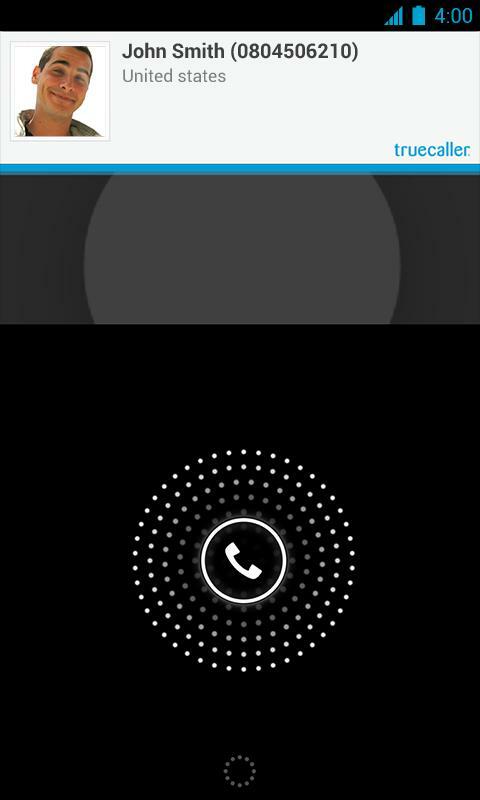 AppDialer (paid: $3.00; free): The fastest way to launch apps when you have dozens hundreds of them installed is to search for them, and by far the fastest way to do so is using a T9 dialer, like the one provided by AppDialer. From home screen to launching an app never takes more than four taps using AppDialer, and you don’t spend any time looking for a particular icon among many in your app drawer. Tip: if you’re using the paid version of Nova Launcher (as recommended later in this roundup), replace the app drawer icon in your dock with AppDialer and set the app drawer to activate using the swipe up gesture on the same icon. With Bluetooth and WiFi Unlocker installed, when your phone is connected to trusted Bluetooth devices, it will automatically get unlocked. Bluetooth and Wifi Unlocker (paid: $3.00; free): This rather ugly looking app will replace the pattern or PIN lock on your phone with a simple slide lock when it is on trusted Bluetooth or WiFi networks and re-enable it when it isn’t. Pair it with a Bluetooth accessory that you always have with you and you’ll never have to see spend time unlocking your phone again, while still keeping it safe from prying eyes. 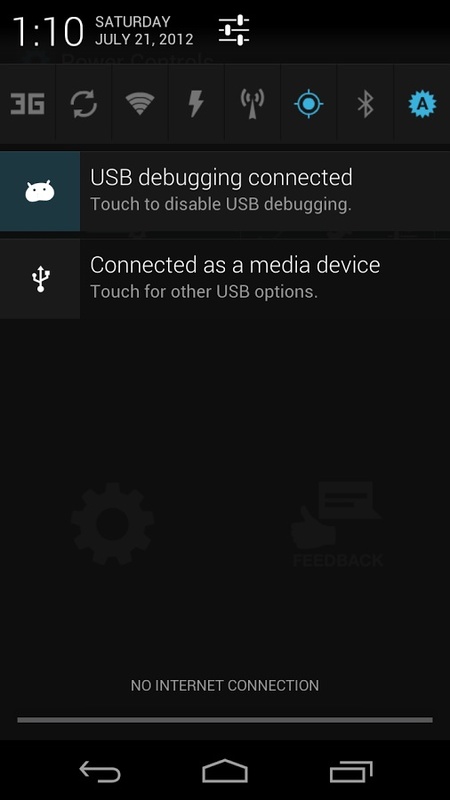 It seems that it hasn’t been updated to work on Android 4.3 yet, however, so you can try Unlock With WiFi instead (which, unfortunately, does’t work with Bluetooth). 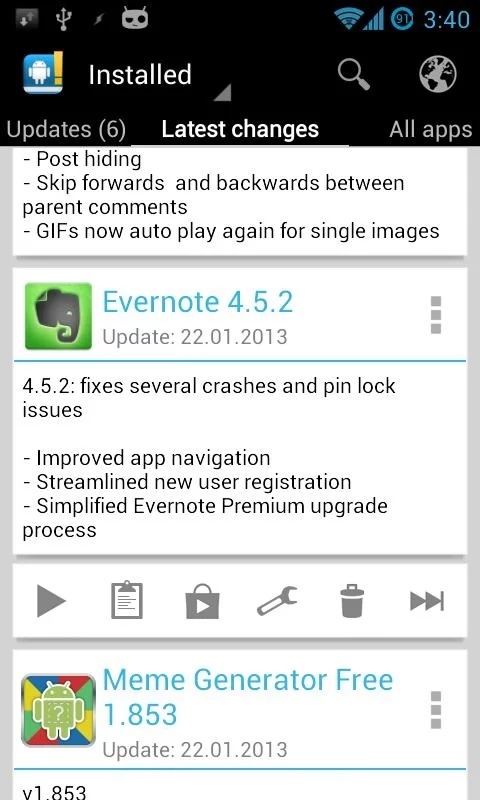 Keep track of your additions and changes to your apps with Changelog Droid. Changelog Droid (free): Android automatically updates your apps when you are on WiFi, which is a fantastic feature, but that can often leave you confused about which updates have added which features. Changelog Droid keeps track of the changes that get made to your installed apps with each update, so you can put your foot down if an app insists on making changes you don’t approve of. Clipper retains your clipboard history and has been known to come to the rescue in many an emergency. Clipper (paid: $2.00; free): This app keeps a tab on your clipboard history, so you can go back and re-use that bit of text your copied from that email yesterday. It works silently in the background and, most of the time, you don’t even know it’s there, but it often comes to the rescue in unexpected ways. Tip: Reserve a slot for it in your notification shade using Power Toggles (as recommended later in this round up). 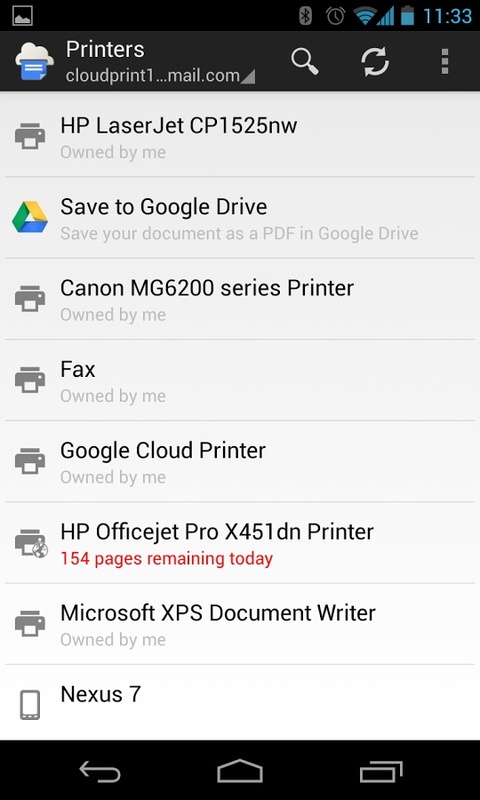 Google Cloud Print can remotely send print jobs to any printers you hook up to it. Cloud Print: There are two apps by the same name, one from Google itself and another from a third party, both of which do the same thing for free—send stuff on your phone to your printer through the Google Cloud Print service—and do it well. You wouldn’t believe how much more sophisticated office pranks can be with Google Cloud Print! 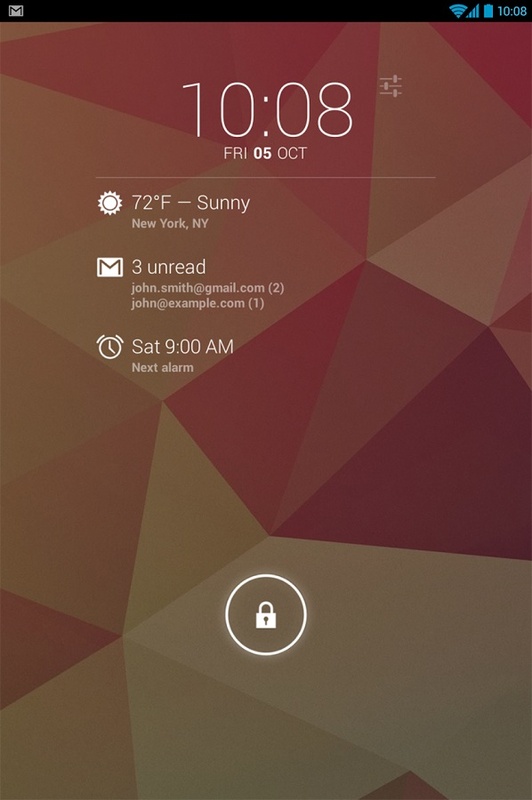 Add notifications to your Android lock screen, and much more, with the DashClock widget. DashClock Widget (free): Every Android user we know swears by DashClock. DashClock puts your most important notifications and other information on your home or lock screen in a beautiful, clean and readable format. It is extensible and there are a multitude of extensions for it that can tell you the weather, show you your appointments and tasks, alert you to new emails, texts and WhatsApp messages, give you shortcuts to things like turning on your phone’s flashlight, and then some. 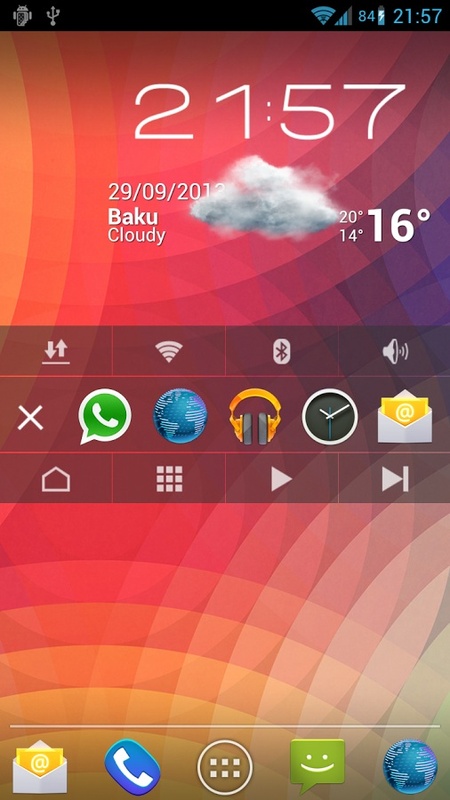 DashClock is the ultimate Android widget to own. Swipe in from the edge of your phone’s display to instantly switch between apps and toggle various settings. Edge (paid: $2.00; free): Swipe in from the edge of the device’s display to instantly switch between one of your last five recently used apps or use a bunch of other shortcuts. 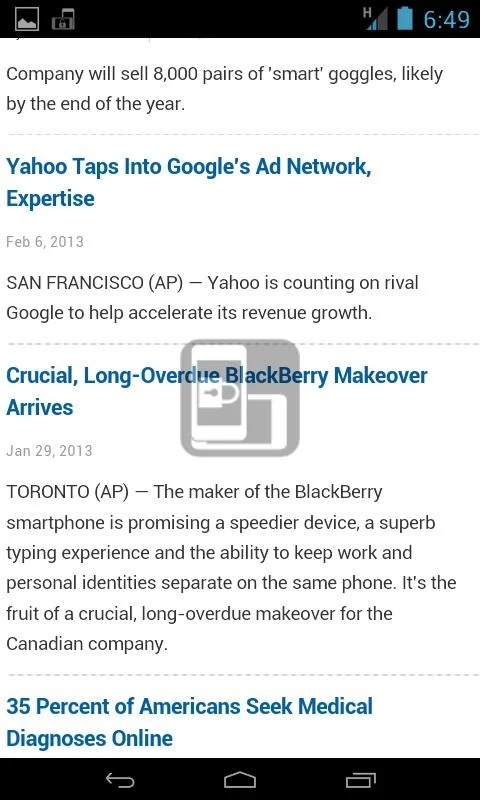 Very customisable and still in beta, Edge makes multitasking on Android a lot more efficient than it is by default. It’s also one of the many apps on this list that falls squarely under the “just plain cool” category. 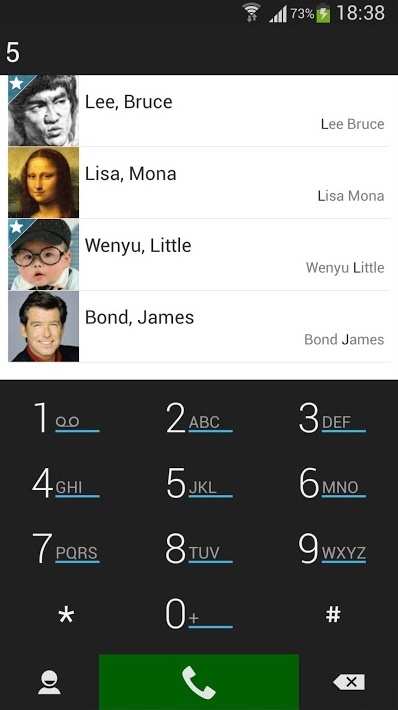 With T9 search and speed dial, ExDialer is quite possibly the best dialer and contacts app on the Android platform. ExDialer (paid: $4; free): The Google Play Store has a ton of T9 dialers that promise to do a better job than the default Android Phone app, but none of them succeed quite as spectacularly as ExDialer. Armed with a ton of very useful features, it is literally the first app I install on any new Android phone (along with its ConnectVibrate and xMissedCall plugins, which require that the device be rooted). 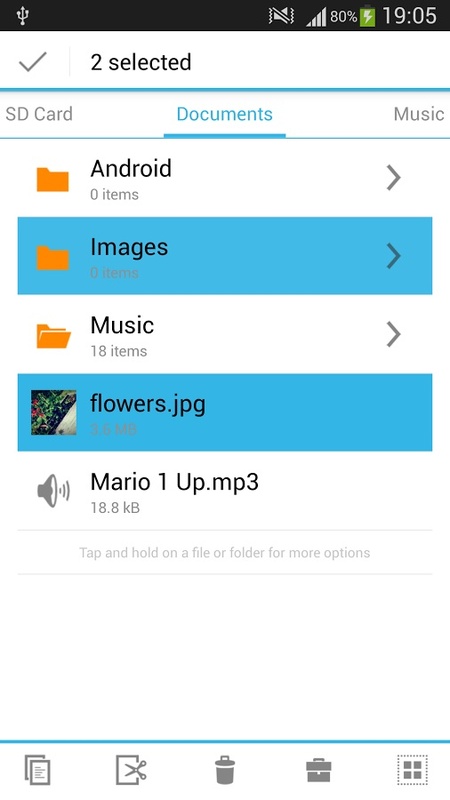 With a slick interface, File Manager makes the file system easy to get around. File Manager (free): One of the most sparsely laid out, simple and usable filesystem management apps on the Play Store. Most advanced users need to dabble with the filesystem at least some times and File Manager is certainly better than most of the competition. 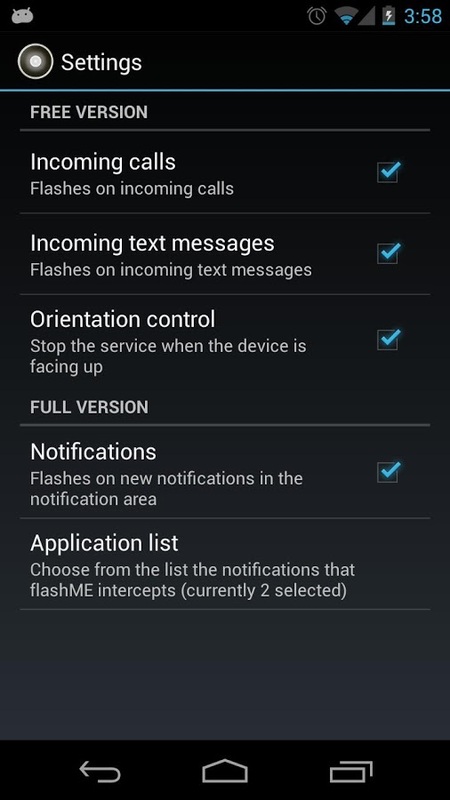 flashME’s orientation control feature and compatibility with a wide range of notifications makes it a winner. flashME (free): Most Android phones have a notification LED on the front, but that’s not much help if your phone is placed upside down. 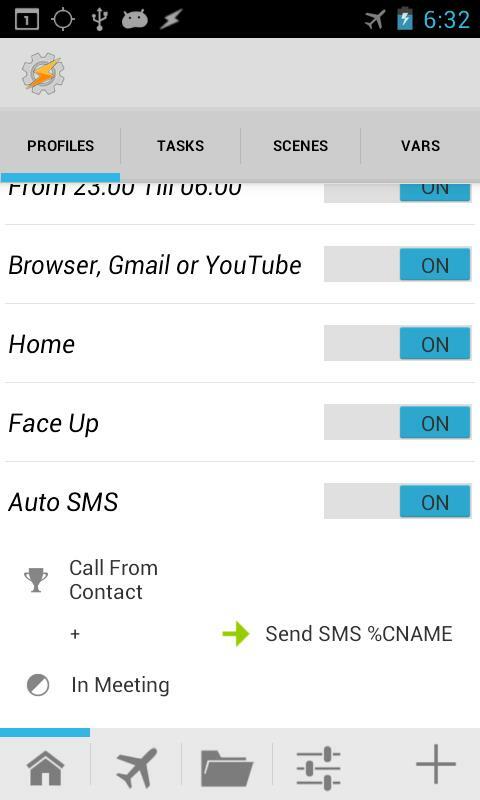 flashME flashes the camera flash to alert you to incoming calls and text messages on your phone, and unlike similar apps, it has a useful setting that makes it function only when the phone is facing downwards. So you can still have your flashing alerts when you want them, without lighting up the whole theatre the next time you go to the movies. Pulling down the notification bar is now a thing of the past. 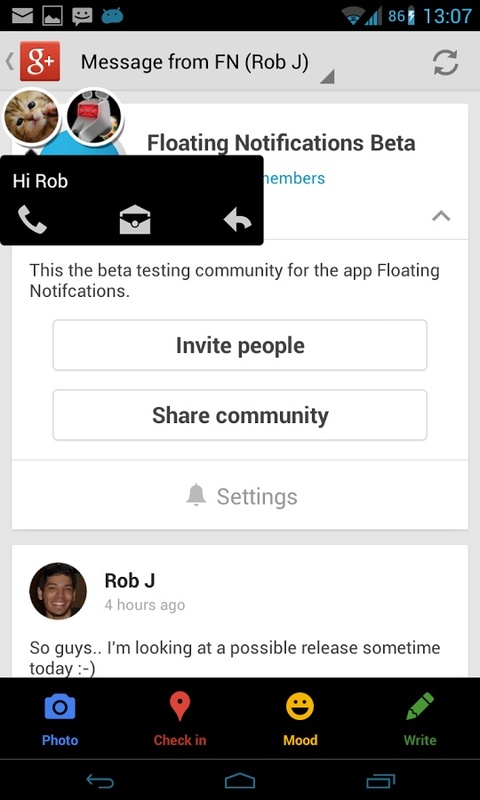 Floating Notifications brings notifications closer to your thumb. Floating Notifications (paid: $2.00; free): If you’re using Android 4.3 Jellybean, Floating Notifications will show a floating bubble anywhere you want on your display when new notifications come in, almost completely replacing the notification bar with a target that is easier to reach and interact with. And about 2.3 times more fun! 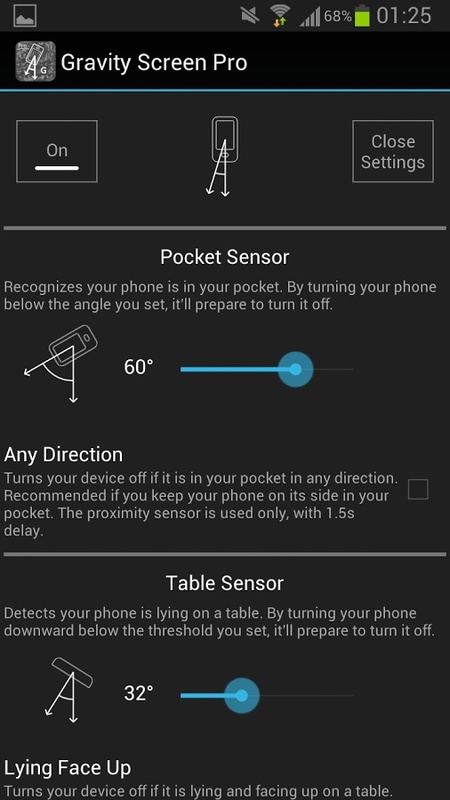 Gravity Screen’s pocket and table sensor features work almost like magic, allowing it to automatically turn your phone’s screen off and on, as required. Gravity Screen (paid: $1.50; free): Your phone has an accelerometer and proximity sensor and you shouldn’t have to manually turn the screen off and on when the sensors can take care of it for you. As long as you’re willing to keep your phone in the inverted position in your pocket and facing down on flat surfaces, Gravity Screen will automatically manage your screen with practically zero extra load on your battery. You’ll never have to press that power button again. With HaxSync, it is easy to keep up with the contact details of your friends and events on Facebook. 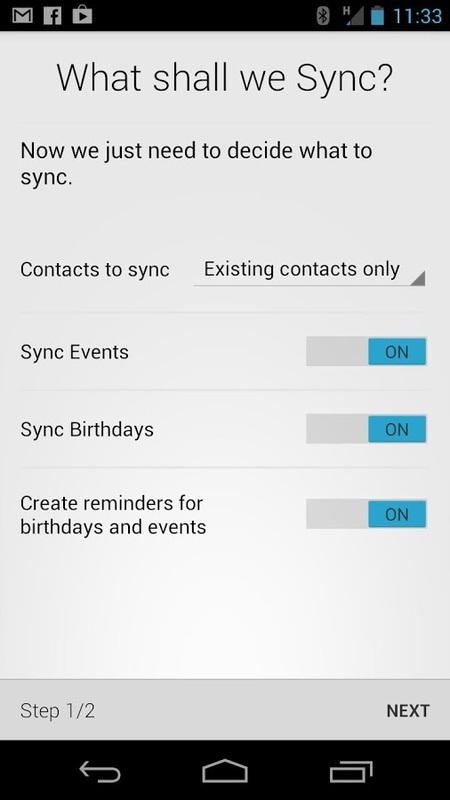 HaxSync (paid: $1.50) or Sync.ME (free): Both of these apps will automatically update your contacts with their high resolution display pictures on Facebook regularly and sync a bunch of other useful data as well. You can go wrong with neither. And if your friends change their Facebook display pictures as frequently as do some of mine, you’ll always be in for a surprise when you give them a call. If you have a notification LED on your Android device, this app will make light work of configuring it to work with your apps. Light Flow (paid: $2.50; free): Most Android phones come with a notification LED that can blink in various colours and at different speeds to alert you to the needs of your phone but manually managing its behaviour by individually configuring it in all of your installed apps is the shortest route to insanity. Enter Light Flow, a powerful app that can do all of it for you. The free version supports a few basic apps, but you’ll need to fork out some cash to be able to use it with most of your other apps. 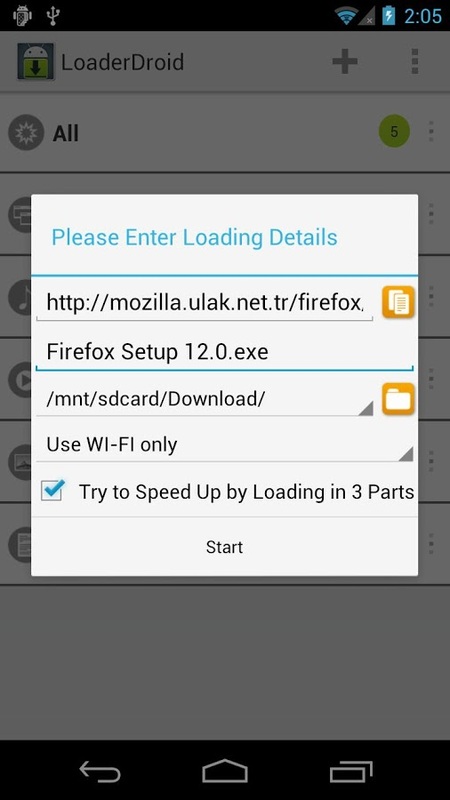 LoaderDroid ensures that you don’t accidentally download large files over your phone’s data connection. LoaderDroid (paid: $3.00; free): A download manager is not a necessity on any platform, but it is nice to have, particularly when it works as well as LoaderDroid. It integrates well with web browsers on Android, intercepts downloads and makes sure that it only downloads them over WiFi, so your phone bill does not pose a health risk when it shows up in your inbox at the end of the month. Nights Keeper will screen all but the most essential calls so you can get a good night’s sleep. Nights Keeper (free): Wouldn’t it be nice to have a snooty butler who prevents callers from disturbing you after you’ve gone to bed at night? This app will do that for you, minus the British accent. If someone calls you after you’re tucked in, Nights Keeper will act as a gatekeeper and won’t allow them through, replying to the caller with a pre-programmed text message instead. If you set it up that way, it will allow persistent callers to get through and even allow certain special people to get to you on the first try. 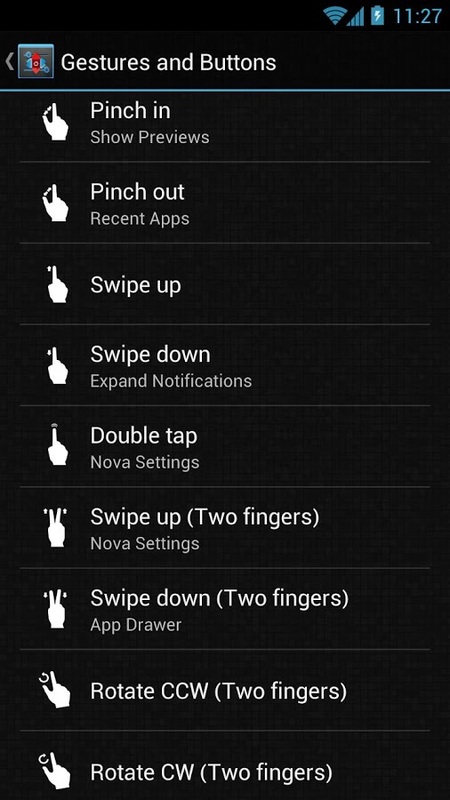 Nova Launcher Prime supports a variety of gestures that make it faster and more fun to use your home screen. Nova Launcher (paid: $4.00; free): The stock launcher on Android is decent but Nova Launcher blows it out of the water. You can turbocharge your Home screen with a tighter app grid, smaller icons, swankier animations, overlapping widgets and a whole host of other features. 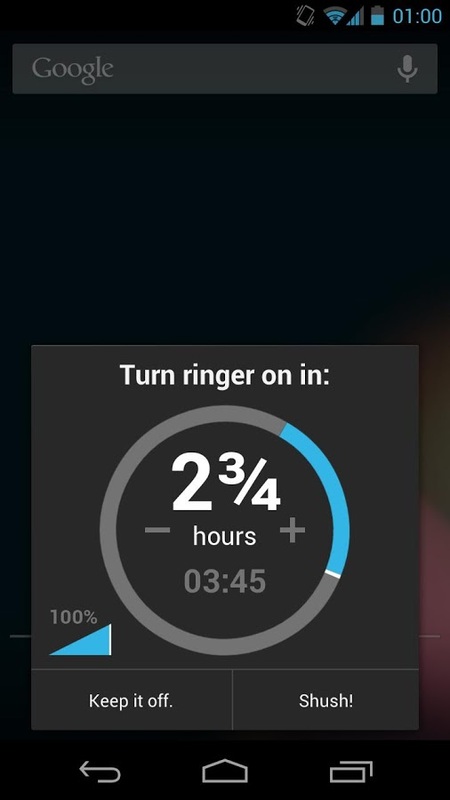 Put your most important toggles in your notification shade using Power Toggles. 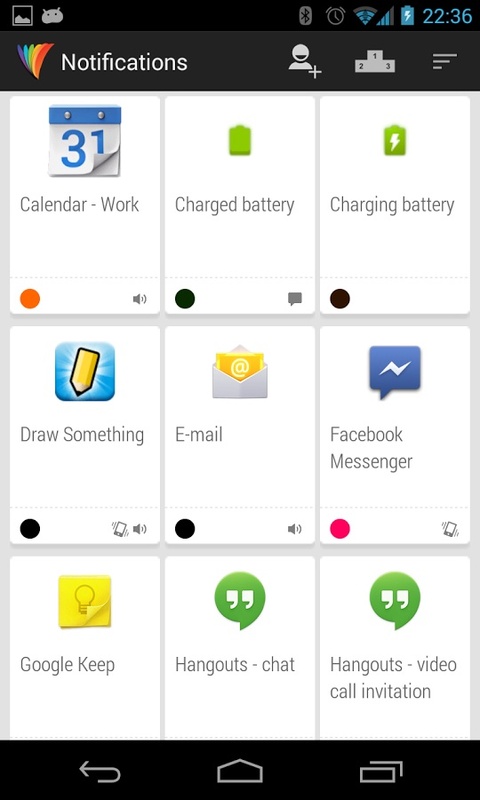 Power Toggles (free): Put your Bluetooth, WiFi and other settings toggles in your notification shade or on your Home screen, along with buttons for specific apps (like Clipper, as mentioned above), so they are never out of your reach. Unless you use a ‘phablet’, in which case you have, uh, bigger problems. If you want to use your phone in bed, Screen Filter will reduce the brightness of your phone way beyond its lowest setting. 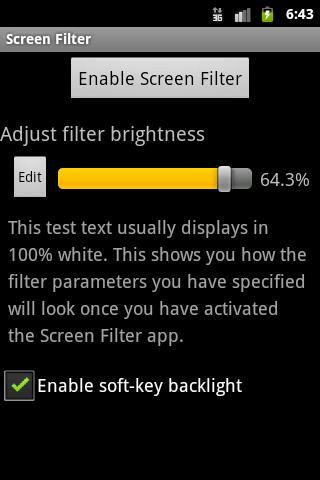 Screen Filter (free): On most phones, even the lowest brightness setting is far too bright for nighttime usage. Screen Filter resides as a Power Toggle in my notification shade and a quick tap on it at night instantly dims the screen to a fraction of its lowest brightness, and another tap restores it to its original setting. Shush! will ensure that you never miss calls after leaving the movie theatre again. Shush! Ringer Restorer (free): Ever silence your phone when entering a movie theatre and then miss a bunch of calls later because your forgot to undo it after the show? 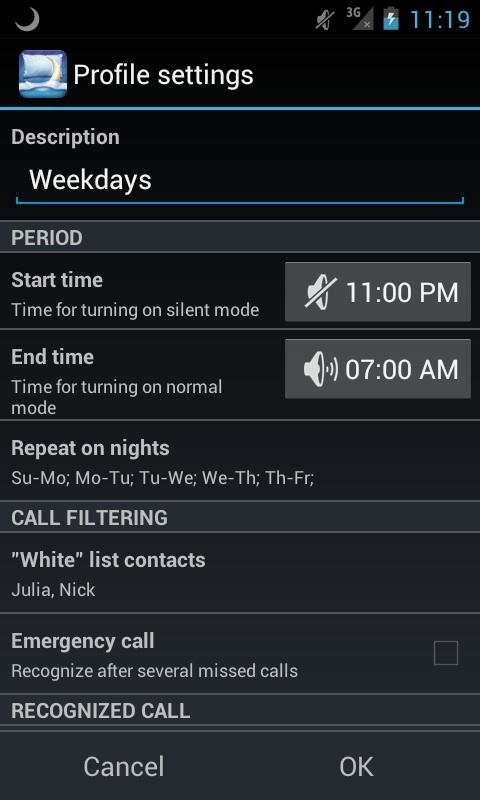 Shush fixes that by prompting you to set a timer every time you silence your phone, so you can set it and forget it. You may have to find a new excuse for screening your calls though. Simple Redial NC (free): An app that redials the last number on your call log hardly qualifies as a power user app, but this list wouldn’t be complete if I didn’t describe my specific usage of it. If you use Nova Launcher Prime and set it to launch with a swipe up gesture on the Phone (or exDialer) icon in your dock, redialing a number is always a simple gesture away from your Home screen. It’s a small tweak that I find very useful in day-to-day use. Smart Lockscreen Protector (free): If your phone is protected by any form of security and you have remote tracking enabled (through an app like Cerberus, mentioned later in this list), neither would be of much help to you because most thieves would simply turn off the device the moment they lay their hands on it. Unless you install Smart Lockscreen Protector, which will make it impossible to bring up the Shut Down dialog on the lock screen. Smart Statusbar (paid: $1.50; free): If you’re watching a movie or playing a game in fullscreen mode on your Android device, Smart Statusbar will allow you to get to the notification shade by swiping down from the top of the display. It’ll also make you wonder how Google has gone five years without allowing that by default. SMS Backup & Restore (paid: $2.00; free): Along with its complementary Network Addon, SMS Backup & Restore will periodically back up your entire text message history to your Dropbox and/or Google Drive account, and later restore it if you switch phones or reinstall the operating system. 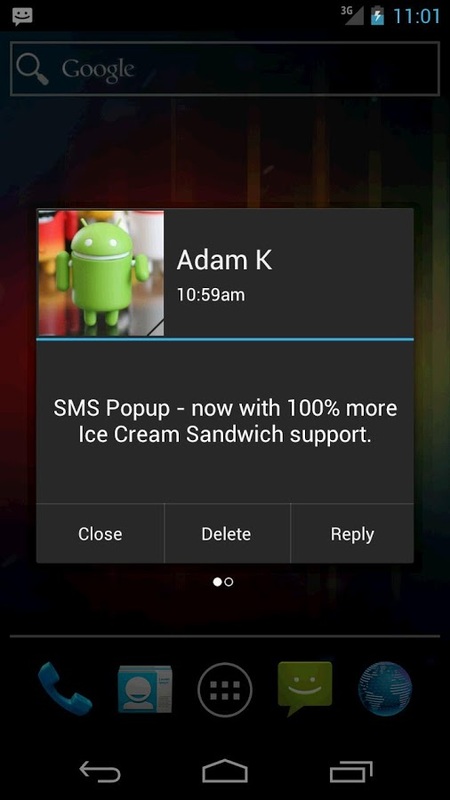 SMS Popup will throw up a dialog box every time you get a text message, allowing you to reply to it instantly. SMS Popup (paid: $2.00; free): This app throws up a dialog box that shows you the full text message whenever you receive one and allows you to reply to it, mark it as read or delete it without having to open the Messaging app. It’s pretty useful for something that has “popup” in its name! SpeakerPhoneEx will automatically answer calls when you bring the phone up to your ear, and then some. SpeakerPhoneEx (paid: $1.50; free): Simply bring the phone up to your ear to answer a call and place it face down to end it. When in the middle of a call, taking the phone away from your ear will turn on the speakerphone and bring it up to it will turn it back off. The app is intelligent enough to ignore false inputs and has a bunch of delay options to make it fit all kinds of usage scenarios. I have it on good authority that it is straight up from the future. Remove misbehaving apps from your device’s startup routine and make it boot faster with Startup Manager. 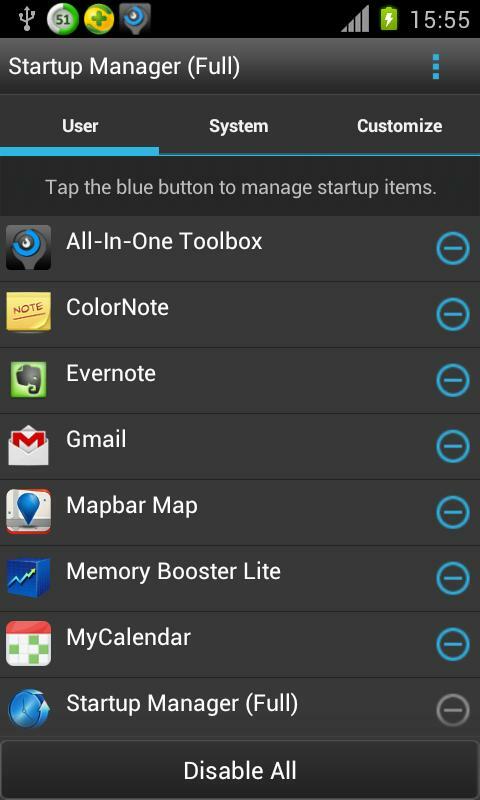 Startup Manager (paid: $3.00; free): When you’ve installed dozens of apps on your Android device, chances are that a bunch of them will add themselves to its startup routine. While most of them do so after you give them permission, some don’t, and Startup Manager gives you an easy way to put the defaulters back in their place. SwiftKey’s Flow feature makes typing fun by allowing you to swipe your way from one key to the next to form words and sentences. 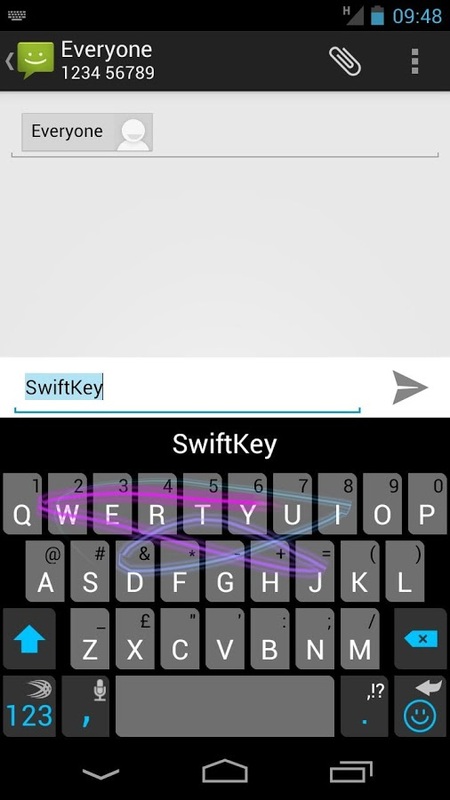 SwiftKey (paid: $4.00; free): SwiftKey is regarded by many as the best keyboard for Android, and for good reason. If you’re using the default keyboard your phone came with, give SwiftKey a shot. Tasker is the king of automation apps on Android. Set up simple or complex profiles and sit back as your phone takes care of the mundane things for you. Tasker (paid: $3.00; free): Entire articles aren’t enough to cover all that is encompassed by this complex app that uses programming logic to automate various tasks on your device. Among many other things, I use it to automatically disable the Face Unlock security on my phone when it is on trusted Bluetooth and WiFi networks, and to maximise the screen’s brightness or turn off GPS when certain apps are launched. Tasker is not an easy app to wrap your head around, but once you figure it out, you can take automation on your phone to a whole new level. Nevertheless, if you find it too complicated, AutomateIt is a less powerful but more beginner friendly alternative you can try. Be informed of the identity of callers, even if you don’t have them in your contacts, through Truecaller’s worldwide directory. Truecaller (free): It’s a worldwide directory of phone numbers that you can put to your own use. Whenever a call comes in from an unidentified number, Truecaller will chime in and fetch the caller’s name from its own database. With an accuracy rate of about 80% in my own usage, it’s a very useful tool to have in any mobile user’s arsenal. If you’re paranoid about privacy though, you may want to steer clear of this one. Unshorten (free): It’s annoying that short links on Twitter and other social networking apps open first in the browser before being resolved and redirecting to another app on your phone. Unshorten can take over that middle step, so short links take you straight to the app they were targeting or to the browser when they’re simple URLs to websites. The aforementioned apps do not require any special privileges to run on your phone, but if you are prepared to root your Android device, you can use a bunch of other apps that require that accessibility. Ordinarily, Android disallows the user and installed apps from being able to mess with some system files that are essential to the proper functioning of the operating system. Rooting (which literally means gaining root access) allows third-party apps to do that, which makes it inherently less secure than a non-rooted device. However, assuming that you only use apps that know how to behave themselves, like the ones upcoming on this list, they are no more harmful for your phone than any of the apps above. Even some of the apps above are able to do additional things if they have root access. If you consider yourself a power user, we encourage you to root your device (as does Google) and play around with some of the apps that follow. Android Firewall (paid: $1.00; free): If you have an app or two on your phone that misbehaves by transferring too much data needlessly over your mobile data network (I am looking at you, Google Keep), you can curtail that particular freedom by using Android Firewall. It has a bunch of other features to keep networking aficionados happy, but for us, just that one feature is worth its weight in gold. Auto Hide Soft Keys (free): If it bothers you that the soft keys of the permanent navigation bar take up a small chunk of the bottom of your display, this app will replace it with a translucent overlay that performs the same functions but only shows up when you swipe up from the bottom edge of the display, thus leaving all the screen real estate to your apps. Because you can never have enough screen space. Cerberus (free): It is quite possibly the most advanced security and tracking solution for your Android device. Cerberus runs invisibly in the background and the list of things it can do to help you locate your phone is practically endless. It’ll email you photos of intruders trying to get past your lock screen and allow you to record audio and video on the phone, get its location history and call and text logs, display messages on it, get loud alert sounds going and even wipe it completely should it be unretrievable. FasterGPS (free): This app purports to change some GPS-related region settings on your phone to make GPS locks faster. I’ve never been able to definitively test just how well it works, but reviews on the Play Store are overwhelmingly positive and I see no harm in launching it and setting it up once. It takes five seconds and then you’re done forever. Greenify (paid: $3.00; free): Android gives a lot of power to third party apps and some of them can let it get to their head. I highly discourage the use of task killer applications on Android, because they do more harm than good. Greenify, however, puts apps in a vegetative state instead of killing them outright, which is how iOS handles its multitasking and which is much more useful than constantly killing processes and having them restart automatically. Just be sure to only use it on apps that are actually misbehaving, because going on a bender and ‘Greenifying’ every app on your phone will actually hurt battery life than work in your favour. I speak from experience. Titanium Backup (paid: $6.50; free): If you want to back up every single shred of data on your phone onto your memory card or a cloud service like Dropbox or Google Drive, Titanium Backup will do it for you. It is a bit complicated to wrap your head around at first, but once you start using Titanium Backup, you can rest assured that your data will always be safe and within reach. When it comes time to restore, you can do it on an individual basis or for the system as a whole. It works splendidly and I’ve yet to hear of someone who lost data on their Android device despite using Titanium Backup. Xposed Framework (free): If you are truly an Android maven and want to customise every last detail of your phone, Xposed Framework is the best way to do it, short of installing a custom ROM. You need it to install the framework to run Greenify, for starters, and there are a bunch of useful Xposed modules that can help you apply tiny nips and tucks to the UI of your phone to make it work better for you. 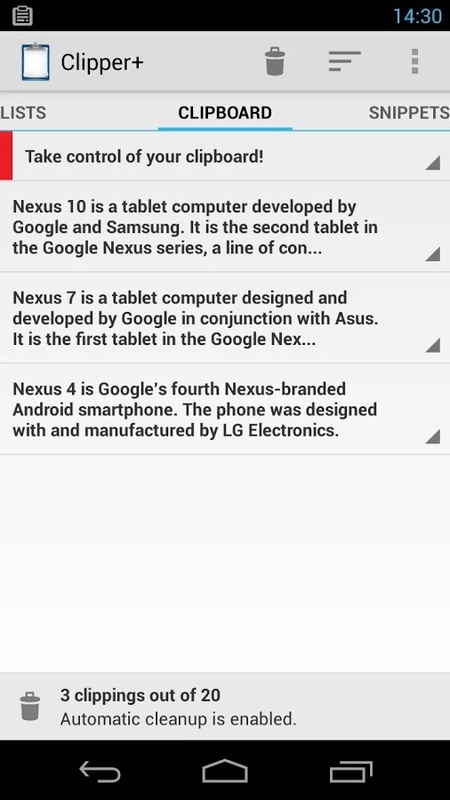 A few Xposed modules that I highly recommend are GravityBox, SMS Xposed, XPrivacy and XuiMod.